In skin care products, active ingredients are responsible for delivering proposed benefits. Active ingredients are in all types of skin care products -- even in natural versions. Strengths vary based on whether you’re using over-the-counter or prescription products. Active ingredients are essential in making skin care products work, but you should look out for potential side effects. Skin care products are intended to help keep your skin clean and properly hydrated. Cleansers, toners, astringents, moisturizers, masks and spot correctors all fall under the umbrella of skin care products. Depending on your personal needs, you may choose acne, anti-aging or dry-skin products. Still, a product is useless if it doesn’t have the ingredients to fulfill its promises; this is where active ingredients come into play. The U.S. Food and Drug Administration defines most skin care products as cosmetics because of their ingredients, as well as their intention to cleanse, alter or beautify the skin. The precise types of active ingredients used in a product are based on an item’s function. 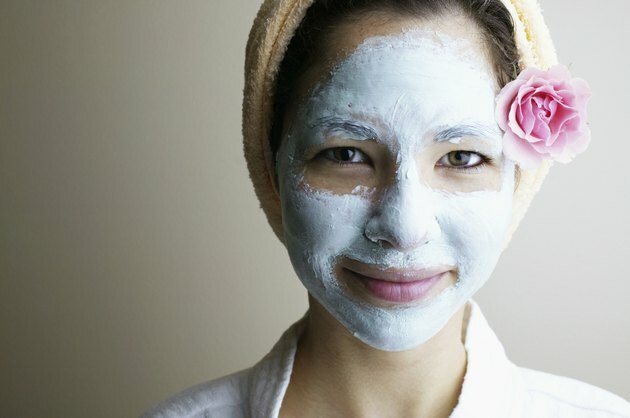 Common acne-fighting ingredients might include salicylic acid or benzoyl peroxide. Natural anti-aging products might contain antioxidants, such as vitamins C and E, as well as alpha hydroxy acids to reduce fine lines and wrinkles. Dimethicone and petrolatum are in certain deep moisturizers to trap water in the skin for extra hydration. The FDA requires ingredients in skin care to be labeled with the primary ingredient listed first. You might find that cosmetic containers list the active and inactive ingredients separately. This is done intentionally to help consumers identify the active ingredients. For example, if you are looking for an acne product but aren’t fond of salicylic acid, then the labeling can help you eliminate related skin care items quickly. Active ingredients are available in both prescription and over-the-counter strength skin care products. Prescription skin care items contain higher concentrations of active ingredients, so be sure to discuss the details with a doctor or pharmacist before use. For example, retinoids are available in over-the-counter skin care products, but prescription-strength retinols are used for severe acne. Hydrocortisone is available over-the-counter for mild irritation, while stronger formulas may be prescribed for the treatment of eczema. The severity of your condition dictates the strength of active ingredients you need. The caveat of using active ingredients is the risk for potential adverse reactions. Active compounds are more likely to pose such risks, particularly if they are chemical based. Having a list of the active ingredients in your skin care products can help you identify the culprits of rashes, hives, blisters and general irritation. If you suspect that a certain ingredient is causing skin problems, discontinue use immediately. Minor reactions will likely clear up on their own with the help of hydrocortisone cream for relief. Promptly address severe reactions with a dermatologist. Oprah: Are Expensive Skincare Products Worth It?